Sculpt like Leonardo with this super sculpting kit! All the materials you need to complete your equine masterpiece are included. 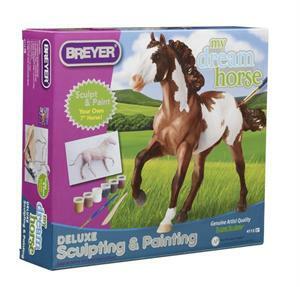 Kit comes with wire armature form, highest quality super Sculpey® clay, sculpting tool, paints and a brush. NOTE: Packaging may differ from picture. Conforms to ASTM D-4236 Standards.